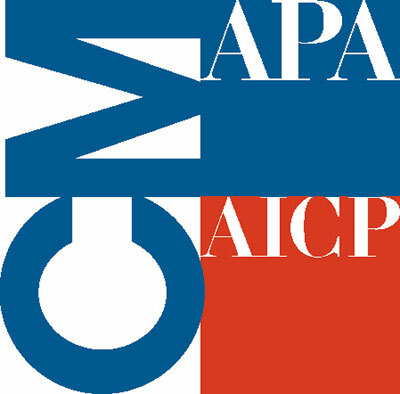 AICP's Certification Maintenance program helps planners gain the knowledge and skills they need to remain current in the practice of planning. Certification Maintenance strengthens the value of certification, demonstrating your ongoing commitment to excellence to elected officials, community leaders, and employers. The Certification Maintenance (CM) program links certified planners to training opportunities that keep them up to date on the latest trends, technologies, and best practices. It also strengthens the value of certification, demonstrating an ongoing commitment to excellence to elected officials, community leaders, and employers. Find live and on demand CM-eligible events from our network of approved CM providers. Browse or search the full list of approved CM providers. APA Learn, APA’s new education platform, provides CM-eligible education online and lets you log your CM right from the platform. The Certification Maintenance program links AICP-certified planners to education and training opportunities so they may earn mandatory credits and remain current with the latest trends, technologies, and best practices. Certification Maintenance (CM) providers are educational organizations approved by AICP to provide continuing education activities and events for CM credits. All education providers, including APA and its chapters and divisions, must apply to become CM providers. AICP markets all CM-approved activities through its online CM Search. Approved organizations are also included in the online directory of CM providers. It's an opportunity to reach 16,000 professional planners who are looking for professional development activities such as conferences, workshops, lectures, or web-based training such as online courses, webcasts, and podcasts.